Are you finding it challenging to secure the data while moving to a new database? Is it too complicated to change your software platform without compromising the data quality? Then, it is time you outsource database migration services to an experienced service provider who can take care of all your database migration needs and leave you with ample amount of time to focus on your core competencies. Outsource2india has been a leading provider of database migration services in India for almost two decades now. We have the required expertise and skills to help you overcome the challenges faced during the database migration process. We ensure that we carefully migrate your existing database to its new location without comprising on the security of the data. What are the Database Migration Services Offered by Outsource2india? We have the required expertise and skills to provide quick and efficient DB migration services for Oracle, IBM, DB2, Progress, Sybase, etc. What are the Database Migration Software Leveraged by O2I? Why Choose O2I for Database Migration Services? The wonderful team effort of Outsource2india helped me create new hopes for my industry. Outsource2india has been a pioneer in providing quality offshore database migration services in India and a series of other database services to clients around the world. Having been in the software development industry for over 20 years now, we have catered to thousands of clients around the globe and helped them with hassle-free database migration services. 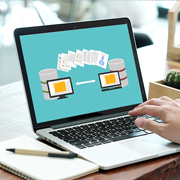 If you are looking for a reliable, efficient, quick, and cost-effective database migration service provider, then you have come to the right place. Get in touch with us today!